Works by Kenneth Josephson at Gitterman Gallery in New York, NY. "...Throughout his career, from his days as a student at the Institute of Design through his years as a teacher at the School of the Art Institute of Chicago, Kenneth Josephson has explored the concepts of photographic truth and illusion. Whether his works utilize a single negative, multiple exposures, collage, or a construction that is photographed, Josephson creates art that challenges our perspectives and invites us to consider different concepts of representation. Josephson consistently frames these ideas with dynamic compositions and creates beautiful objects with seductive printing. Yet, regardless of how exquisite his prints are or cerebral his ideas might be, Josephson consciously utilizes humor; for this is just art, and it is meant to be enjoyed." 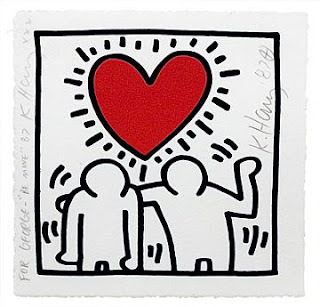 Keith Haring: 20th Anniversary, February 13 - April 3, 2010 at Tony Shafrazi Gallery in New York. Trailer (Flash Video 02:11) for Mother - directed by Bong Joon-ho. Slinkachu - Street based installations and photography. Ken Grimes: Contact - New Evidence at Ricco Maresca Gallery. Zubin Pastakia: The Cinemas Project. "...This series visually traces the lives of Bombay’s disappearing single-screen cinema halls. Once symbols of modernity, the relationship that many of these halls share with the city has changed significantly as colonial Bombay metamorphoses into 'post-industrial' Mumbai." From Zubin Pastakia Photography. Patineur Grotesque (1896, Flash Video 00:10) from ASO - Australia’s audiovisual heritage online. "...A bearded man smoking a cigar rollerskates before a ring of onlookers in a park. While skating, he lifts his jacket to display to the crowd a white hand on the seat of his trousers." Thank you, DMc. Big Star... Thirteen (.mp3 audio 02:35). From the album #1 Record (1972, Ardent Records, Stax ADS-2803). RIP: Alex Chilton. Shomei Tomatsu at at Galerie Priska Pasquer in Cologne. "...Galerie Priska Pasquer is pleased to present the first ever exhibition in Germany to be devoted exclusively to the works of Japanese photographer Shomei Tomatsu. 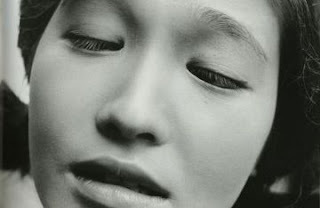 Shomei Tomatsu (*1930) is widely considered the most important figure in Japanese postwar photography. Tomatsu's photographs are examining, in an absolutely personal and unique vision, the changes in the Japanese society since the 1950s. They provide a candid look at the aftereffects of the atomic bombing of Nagasaki, the influence of American military and popular culture, and the impact of the post-1960s economic boom in Japan. The exhibition will show a selection of works from late 1950s to the early 1970s." Viviane Sassen at Danziger Projects. "...Over the past several years, Viviane Sassen has emerged as one of the freshest voices in European photography. Already an acclaimed fashion photographer whose work appears regularly in magazines such as French VOGUE, Purple, and i-D, in 2001 Sassen began regular trips to Africa, where she had lived as a child. Her work there moved away from fashion and documentary and towards an ongoing body of collaborative portraits." More... Works by Viviane Sassen at her personal site. James McMurtry and the Heartless Bastards... Choctaw Bingo (.mp3 audio 08:46). From the album Live in Aught-Three (2003, Compadre Records). Abusing Power: Satirical Journals from the Special Collections Library at Duke University. "...Duke University Libraries collection of satirical magazines offers a panorama of international journalistic caricature from its origins in the 1830s to the present day. This show surveys the spectrum of comic journalism, examining the visual languages of graphic satire, and investigating its rhetorical power. Also... Cedric Chatterley: Photographs of Honeyboy Edwards, 1991-1996. "...Touring with Honeyboy in the 1990s, and also traveling alone with his life’s story in hand, were formative times for me as an image maker. But as much as it was an honor for me to contribute to a book about his life, the more important knowledge I have now is thinking of him as my mentor. 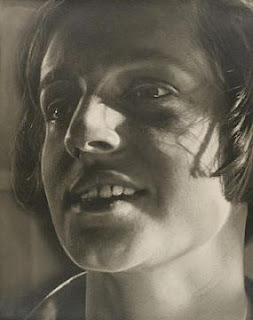 From him I learned that there is a rhythm, a cadence, and a particular way in which time and sight and sound and memory—expressed and unexpressed—are inseparable when they come together to shape an image, whether that image is delivered in the form of a song, photograph, or any other form of expression." Bill Monroe: Father of Bluegrass Music - Film by Steve Gebhardt (1993, Steve Gebhardt, 01 hours, 31 minutes, Color). "...No single figure in American music so dominated a genre as Bill Monroe did bluegrass. This film stands alone as the most intimate and detailed portrait of this unique musical innovator, creating an experience akin to having a one-on-one conversation with the bluegrass master. The film features archival footage and rare 1990s performances from Monroe's final years, including many of the greatest songs from his seven decades of recording, among them Uncle Pen and Muleskinner Blues. In addition, it offers unparalleled access to Bill Monroe, following him from the backstage of the Grand Ole Opry to his farm outside Nashville and on the road in his legendary Blue Grass Express tour bus. 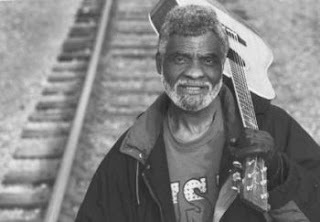 Interview subjects range from the Grateful Dead's Jerry Garcia to country music pioneer Roy Acuff, in one of his final film appearances." Ted Hawkins... There Stands The Glass (.mp3 audio 02:26). From the album The Next Hundred Years (1994, Geffen Records 24627). Graphic Heroes, Magic Monsters: Japanese Prints by Utagawa Kuniyoshi from the Arthur R. Miller Collection at the Japan Society in New York. "...Utagawa Kuniyoshi's vivid scenes from history and legend, wildly popular 150 years ago, are a major influence on the work of today's manga and anime artists. This exhibition features over 130 dramatic depictions of giant spiders, skeletons and toads; Chinese ruffians; women warriors; haggard ghosts; and desperate samurai combat." Jonathan LeVine Gallery: Five Year Anniversary. "...Since 2005, Jonathan LeVine Gallery has been an important venue for Street Art (ephemeral work placed in public urban environments) and Pop Surrealism (work influenced by illustration, comic book art, and pop culture imagery). As such, the pieces in this exhibition—comprised of paintings, drawings, and sculptures—will be primarily figurative with a strong sense of narration. Artists in this exhibition have developed prominent creative voices for themselves as individuals, while also playing valuable roles within the historical context of the larger Street Art and/or Pop Surrealism movements. All of them have been influential in shaping the gallery’s program, creating work with a unique counter-culture point of view." Andy Warhol: Unexposed Exposures at Steven Kasher Gallery. "...Steven Kasher Gallery is pleased to present the first exhibition of previously unpublished and unexhibited photographs that Warhol selected for his 1979 book Andy Warhol’s Exposures. The exhibition will feature over 70 unique vintage black and white photographic prints. It will be accompanied by a new book, Andy Warhol: Unexposed Exposures (Steidl/Kasher, 2010), edited and with an introduction by Bob Colacello (who was executive editor of the original book as well). Starting in 1976, Warhol shot several rolls of film every week and selected images for the 1979 book. He had intended to title it Social Diseases, but his concept was heavily watered down by his publishers at the time and many of the selected images were removed." Works by Martin Parr at Stephen Daiter Gallery in Chicago, IL. "...We are delighted to present our third exhibition of photographs by Martin Parr, one of the UK's most dynamic contemporary artists. The important and often iconic Parr photographs in this show are drawn from nine series spanning over thirty years including: Small World, A Fair Day, Common Sense, Think of England, Fashion Magazine, Bad Weather, British Food, Mexico and The Last Resort." The Mustard Men... I Lost My Baby (1960's, Raynard Records .mp3 audio 02:52). Via Garage Hangover. Roger Shimomura: Small Paintings - Minidoka on My Mind at Greg Kucera Gallery in Seattle, WA. "...In a group of 30 paintings, Roger Shimomura's exhibition, 'Minidoka on My Mind,' will explore the artist's family's internment during World War II, including some works suggesting his personal memories. The show's title refers to Camp Minidoka in Hunt, Idaho where he and his family were detained from the spring of 1942 until the summer of 1944. Previous work by Shimomura, has examined the relationship of Japanese Americans to the larger cultural context of the United States. In particular, here, Shimomura explores the racial conflicts of the 1940s war years and the unjust imprisonment of approximately 120,000 Japanese Americans, 60% of whom were U.S. citizens. He says that these 'images are scraped from the linings of my mind—not necessarily what I remembered specifically, but what I respond with when I think of Camp Minidoka...'"
Anne Van Der Linden... Le Spleen de Tarzan (2009). From the new site for Works by Anne Van Der Linden (fr). "...Anne Van der Linden, peintre et dessinatrice, expose ses oeuvres depuis les années 1990 en France et à l'étranger. Son travail est largement publié dans l’édition alternative. Elle est aussi illustratrice pour la presse et pour des éditions de littérature." The New Typography at MoMA. "...n the 1920s and 1930s, the so-called New Typography movement brought graphics and information design to the forefront of the artistic avant-garde in Central Europe. Rejecting traditional arrangement of type in symmetrical columns, modernist designers organized the printed page or poster as a blank field in which blocks of type and illustration (frequently photomontage) could be arranged in harmonious, strikingly asymmetrical compositions. Taking his lead from currents in Soviet Russia and at the Weimar Bauhaus, the designer Jan Tschichold codified the movement with accessible guidelines in his landmark book Die Neue Typographie (1928)." Bauhaus: The Face of the 20th Century (1994) at UbuWeb Film & Video. "...The Bauhaus school of design, craftsmanship and architecture, founded by Walter Gropius at Weimar in 1919, was largely responsible for revolutionizing the structure of art school tuition, and its basic tenets of design are now a modern commonplace. This documentary covers the full range of the work of the Bauhaus, which encompassed architecture, design and disciplines as varied as pottery, weaving, theatre and ballet. It also appraises the effect that the Bauhaus's revolutionary method of workshop instruction had on the creativity of the students. The film brings together thought-provoking comment from architects, teachers, ex-students and current experts on the Bauhaus, and includes amusing anecdotes and vintage footage of the work of its founding members."